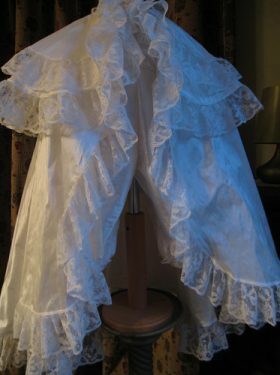 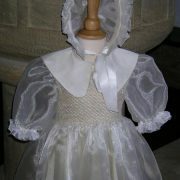 Victorian style bonnet with gathered frill. 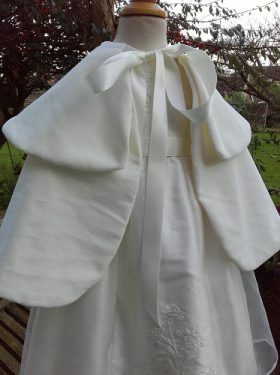 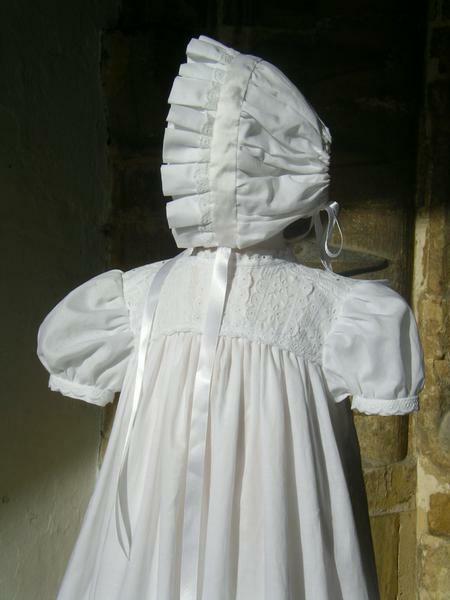 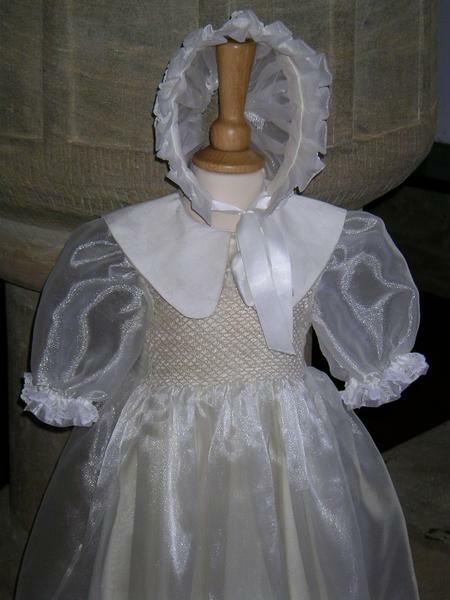 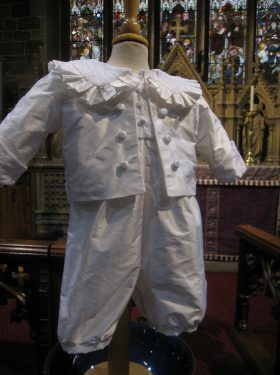 Bonnets make the perfect finishing touch to the Christening gown. 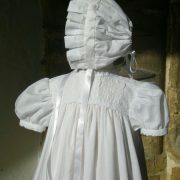 If you are ordering a bonnet to compliment a gown it will be made in the same fabrics. 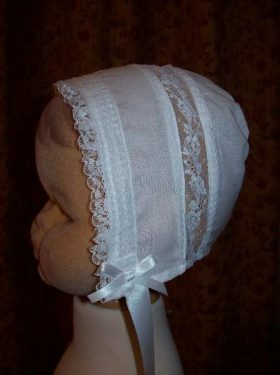 If you require a bonnet only please select the type of fabric you require.